While her neighbours have built a wall so they don’t have to look at the migrants in Calais, Brigitte Lips welcomes them into her home. “I have been involved with migrants for 20 years, but since we have been given the right to bring them home, I do it,” she tells Euronews. 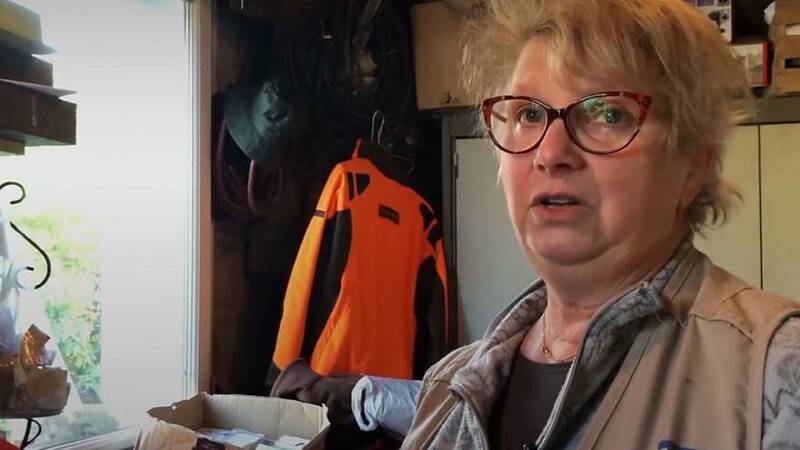 Lips, who lives next to the “new Calais jungle”, says she gives bottles of water to the migrants and refugees, lets them charge their phones and dresses their wounds if they get injured. “Whatever is there, they know they can take it,” she says. Lips’ efforts to help the migrants have earned her the status of “mother”. “They say to me sometimes, ‘you do as our mother would do,’” she says. While Lips gives what she can to the migrants, it is difficult to provide them with everything they need. “They want blankets, they want tents. I do not have all that,” she says. And not everyone in the area shares her desire to help them. Her neighbours built a 60-metre wall in the summer “to stop seeing the refugees" at her home. Get the full story by clicking on the player above.